Bill originally meant to condemn anti-Semitism but later expanded to white supremacism and 'Islamophobia' to be voted on in House Thursday. The US House of Representatives will vote Thursday on a measure originally drafted to condemn anti-Semitism, but later expanded to include other forms of bigotry, including white supremacism and ‘Islamophobia’. The House’s Democratic Majority Leader, Steny Hoyer, said during a closed-door meeting of Democratic lawmakers Thursday that the symbolic resolution “opposing hate will be voted on today,” an aide said, according to AFP. Omar has been accused by both Republicans and Democrats of channeling classic anti-Semitic canards regarding Jewish influence and dual allegiances, after she accused a pro-Israel Jewish group of buying off Congress to back Israel, and suggesting her critics were loyal to a foreign country – Israel. The freshman congresswoman also drew criticism over a 2012 social media post in which she accused Israel of ‘hypnotizing’ the world. Omar later said her choice of words was “unfortunate” but fell short of apologizing for the comment. Following pressure from Republicans to punish Omar, the Democratic House delegation drafted a resolution condemning anti-Semitism. On Wednesday, however, the measure, which had originally been drafted as a response to Omar’s comments, was reframed as a general condemnation of bigotry, targeting not only anti-Semitism but also white supremacism and ‘Islamophobia’. “I thought the resolution should enlarge the issue to anti-Semitism, Islamophobia and white supremacy,” said Speaker Nancy Pelosi. 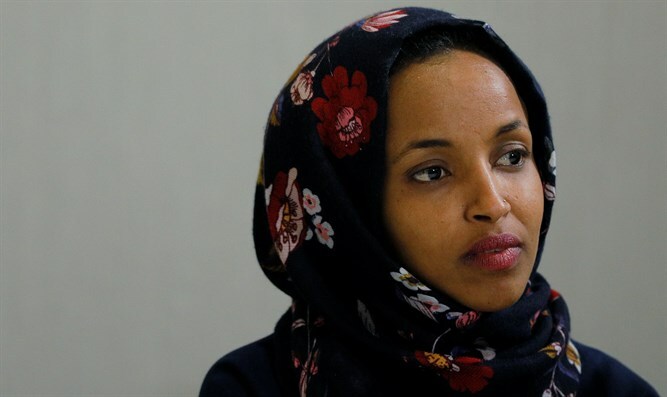 Some Democrats, particularly from the party’s far-left wing, criticized the measure, downplaying the allegations of anti-Semitism and accusing Omar’s critics of a politicized witch-hunt. But other Democratic lawmakers, including those behind the original resolution, objected to the alterations to the bill. “When a colleague invokes anti-Semitic lies three times, then this body must condemn anti-Semitism,” said Florida Congressman Ted Deutch.